I’m kind of obsessed with minimalist budgeting because you can prioritize your financial goals, while simplifying the process at the same time (aka makes life easier). The minimalist budget is a system that simplifies your finances while helping you achieve your financial goals. What Does Minimalism Have To Do With Your Money? 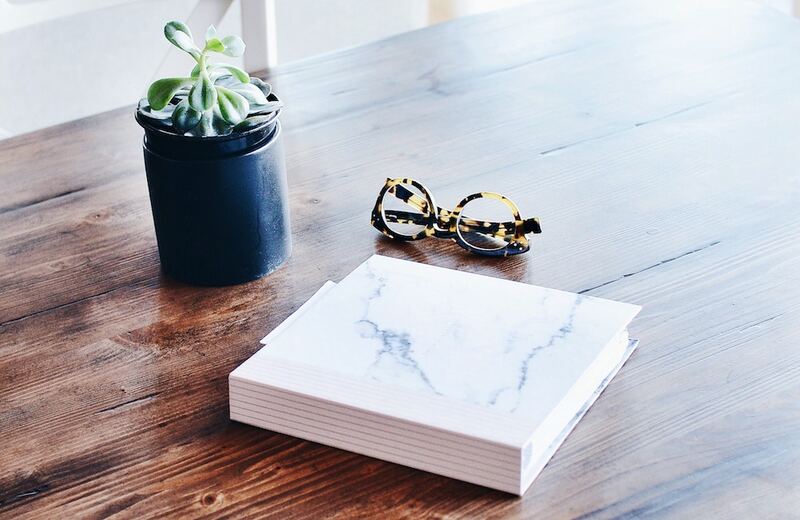 You probably have heard of minimalism, but you may not know what it has to do with money. In general, minimalism means prioritizing what’s valuable to you, while intentionally reducing clutter in other areas. While most people focus on decluttering material items when they adopt minimalism (think wardrobe or home décor), minimalism can be adopted in your financial life, too. A minimalist budget will give you clarity with your money by decluttering your finances and prioritizing your financial goals. One caveat I want to mention here is that a minimalist budget doesn’t necessarily mean you’ll spend less money. You can simplify your finances while still spending a lot of money on a few items. Minimalism in and of itself will not lead to spending less money. Read this post about the difference between minimalism and frugal living to get a better understanding of what I’m talking about. The two concepts are different. Very different! However, when you reduce confusion and clutter in your financial life, you’ll become acutely aware of how you’re spending your money. This alone will increase the likelihood that you’ll at least be very aware of excessive spending. And awareness is the first step to change. I’m much more minimalist than I am frugal. I would rather have a few, high quality items, than ten items that I bought on sale for lower quality. The same is true for my financial life. I choose to keep it simple and that makes my finances really easy. I have one checking account, one savings account, and my retirement accounts (and I have zero credit cards because I’ve never had a credit card). The minimalist budget system will not allow you to maximize credit card reward hacks, coupons, deals, or other consumer freebies that require opening multiple accounts and working the system to your benefit. The minimalist budget system won’t save you the most dollars or make you the most frugal person. However, the minimalist budget will help you simplify your finances so you have an easier system that helps you achieve your financial goals. It makes life easier! I see this distinction in my own life. I’ve never had a credit card. This makes my life super easy. I don’t spend more than I have. I only use my debit card (and I use it for everything). But I give up on the perks, points, and deals that credit cards offer. I do this in the name of reducing clutter and temptation. It’s perfect for me. I prefer fewer things in the name of simplicity and value. Now that you know what this minimalist budget is, here’s a look at how you can implement one yourself (and how I do it in my life, too). Generally, I hear broke people talk about owning things in terms of payments. They’ll say things like “I bought this car because I got a great deal on the lease – the payments are only $200 per month.” The goal is to stretch their finances out as far as possible, making sure they have the lowest payments, so they can live beyond their means in a lifestyle they feel entitled to but can’t afford. The minimalist budget requires you to flip this mentality upside-down. Instead of thinking in terms of payments, you need to think in terms of ownership. Don’t ask what the monthly payment is, ask what the cost is to buy the item outright. I don’t have a credit card, I’m not frugal, and I believe my income potential is limitless. This is very different than most people’s money philosophies. After learning about money over the years, this is what I’ve adopted and truly believe. In order to cut unnecessary things from your life, you need to know what is unnecessary to you. This means you need to define what is necessary – or valuable – to you. Once you know what your values are, you can establish financial priorities. Once you are clear about what your financial values are, you can establish your financial priorities. Your financial priorities are basically your financial goals. They’re your plan from getting from where you are now to where you want to be. They will vary depending on your current financial circumstances. These are just examples. There are so many different ways you can go with creating your own financial priorities. If you are in a position where you really don’t know what your financial values are or what priorities to set, consider the 50/20/30 budget. Under this budget, you allocate 50% of your income on your needs, 20% of your income on your savings and debts, and 30% of your income on wants. Another point to consider is the value of experiences compared to things. What the research shows is that you will be happier spending money on experiences compared to spending money on things more on that here. It can feel like buying things is the key to happiness (especially in traditional, American culture). However, that’s not true. So fight it. And consider prioritizing experiences over things. It’s super duper important that you establish your financial values and define your financial priorities in order to create a minimalist budget. The foundation of minimalism is prioritizing what’s important and forgetting the rest. In order to do this, you have to decide what is important to you. You can watch a YouTube video on my channel to get a glimpse at what my money philosophy is and how I work to attract money in my life. Create a list of all the things you spend money on (examples include trips to Target, gifts on Amazon, wedding expenses, travel, and any and everything in between). The more detailed you can make the list, the better. Once you have written down a list of your spending, evaluate each line item. Ask yourself if each line item is something meaningful to your life? Do you value it? Does it serve your financial values and priorities? Remember, that by saying yes to one thing, you are saying no to another. If you say yes to something that doesn’t serve you, you’re saying no to you. Here’s an example. Let’s say you spend $150 per month on your hair. You would ask yourself if spending $150 per month is serving your financial values and priorities? If it’s not serving your financial goals, is it something that’s more important to you than your financial future? The answer may be yes. It may be no. The key is to understand that by spending money in one area you cannot spend it in another. It’s a different way of looking at what you’re spending. If you find that you’re spending money on things that don’t fit in line with your financial values and priorities, then you should cut these expenses from your minimalist budget. I stick to my budget. I don’t use a credit card. And I wear a neutral wardrobe. This constraint in my life is so helpful for managing my money and my spending. A minimalist budget is one that likely has one main checking account and one main savings account. The checking account should be used for all your discretionary (entertainment) and non-discretionary (housing, debt, bills) expenses. Your savings account should be used for your emergency fund. In the same way, only have one credit card (if you have to have a credit card at all). You’ll be giving up some rewards, but you’ll be simplifying your life and making it easier for you to stay organized and on top of tracking your spending. This is a big area I see mistakes in. I see people having 7+ checking and savings accounts – one for vacations, one of taxes, one of down payment savings, one of an emergency fund, and on and on. It’s messy and typically, I see people borrowing from one account to fund the other. It’s also something I see a lot with people who are stuck in payment mode. They have payments going to several places and they’re saving barely anything in multiple accounts. I have one checking account and one savings account. I have retirement accounts, like a 401(k) and a Rollover IRA, but those are necessary for my retirement savings. I don’t have any additional accounts spread out. It keeps my finances super simple, makes saving easy, and gives me clarity and organization. I really can’t imagine having multiple accounts all over the place (makes me crazy thinking about it)! While this post as a whole is about creating a minimalist budget, this step is about listing out the specific line items of your expenses against your income. In the other steps I talked about simplifying, setting goals, and adopting a minimalist mindset. This is the step where you need to break down your income and expenses and decide where you want each dollar to go (i.e. : create your actual budget). You can use my Budget Spreadsheet Bundle or create your own. Whatever you decide on for your expenses, remember that keeping it simple is key to implementing a minimalist budget. I use my budget spreadsheets and update them monthly (reviewing them weekly). I plan meticulously and keep track of everything I’m spending. Because minimalism embraces a simplified way of organizing your finances, it makes sense that you should automate as many of your payments under this budget. Automate your savings (e.g. : direct deposit into retirement accounts), debt payments (e.g. : auto debit your payment on the first of the month), and bill pay. The easier you can make your finances under this budget, the better. I auto pay everything. I make sure the auto payment comes from my bank account, so I “push” the payments out (instead of the bills “pulling” them). This avoids more companies having my information. It makes life easier. Step 6 looks backwards by evaluating your past consumption so you know what you’ve habitual spent money on in the past. This step is about questioning all future purchases. With a minimalist budget, you should question all purchases you make. Ask yourself if the purchase is necessary. Keep in mind it takes time to earn money, so every purchase you make ought to be worth the time you spent earning the money. For more on reduces your expenses, read How To Radically Reduce Your Expenses. It’s one thing to get organized and have a plan – it’s an entirely different thing to implement it over time. Things will change in your life that will make your once perfect plan completely unworkable. To review, evaluate, and revise your budget so it keeps working for you, set up monthly financial meetings with yourself (and your partner if you one have one). This will give you the chance to implement and change your budget as needed. Every Sunday night I go over my finances and budget to make sure I’m on track and review all my accounts. It’s really helpful to have a set, weekly time for this. People may think you’re a complete weirdo for living on less. It’s a good thing. It means you’re living intentionally, have a plan for your money, and are designing a life you love. Most people don’t do this. And if those people judge you, it’s only because they don’t understand you. Thankfully, we have the wonderful world of the internet so you don’t have to feel so weird. Just come hang out in my Facebook Community or on some other blog, and you’ll find there are lots of minimalist budgeters! The minimalist budget is a budgeting system that simplifies your finances by cutting out what you don’t value and what doesn’t have a purpose and prioritizing your true financial values. This budget may not give you the maximum credit card rewards, coupon hacks, or freebies, but you will have financial clarity and peace with a simplified system focused on your financial goals. A minimalist budget is my fav because it makes life easier while moving me toward my financial goals. For all of my budgeting posts, visit The Ultimate Guide To Budgeting. I don’t know how people keep up with multiple accounts either. Automation makes my life sooooo much easier! These tips are great, I would add that anyone who doesn’t feel comfortable with budgeting on spreadsheets could also consider an app like Mint or EveryDollar. Yes, definitely! Lots of apps out there. I am not a minimalist budgeter( as in I have several savings accounts) but I love the ideas in this post! While I have several savings accounts to distinguish amounts saved towards my goals, I have just a few serious financial goals I work towards each month. Love the concept of minimalist budgeting. Thanks for the great advice! Awesome post Natalie. I’m am always trying to figure out ways to be more minimalistic in my life and finances. I also have a lot of different accounts but I do see the benefit of parring down. There is truly wisdom in simplicity. Love this post, especially #9: Get comfortable feeling like a weirdo. This is something I had to embrace a few years ago when I started to get my finances in line. All of my friends were freely spending and that was tough for me to not be jealous of how they were able to live. But, it’s funny now because they’re coming to me asking how I got out of student loan debt so quickly and own a house. They’re jealous of how I live now!